LCSC Electronics is going to attend the Electronica, the World's leading trade fair and conference for electronics in Messe München, Germany from November 13 – 16, 2018. 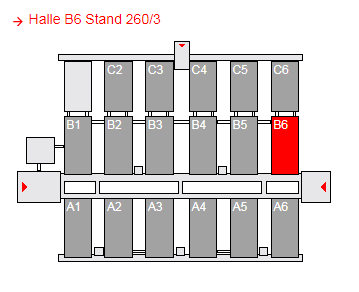 You are more than welcome to visit our booth 260-3, Hall B6 and talk to us. - Tuesday to Thursday, November 13 - 15, 2018 09:00–18:00. - Friday, November 16, 2018 09:00–17:00. Please Email us via support AT lcsc.com or call us at +86 755 8321 0457 to schedule a meeting. Here is the Map of Electronica.